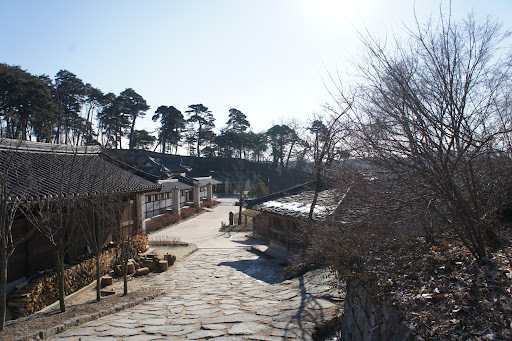 I’m walking about 2KM or more coz I think I was a little bit lost that day on my way to Ujukheon from Seongyojang. 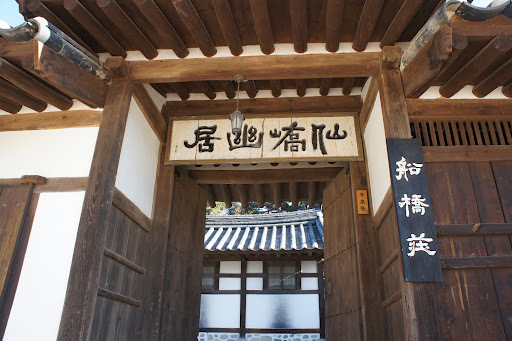 When my friends and WWOOF hosts asked me what I want to do at Gangneung, my first answer is to go to Ujukheon!!! When Mr Lee Seun Gun (one of 2Days 1Night member) explained about Ujukheon, I told myself that I’m not going to miss that spot! 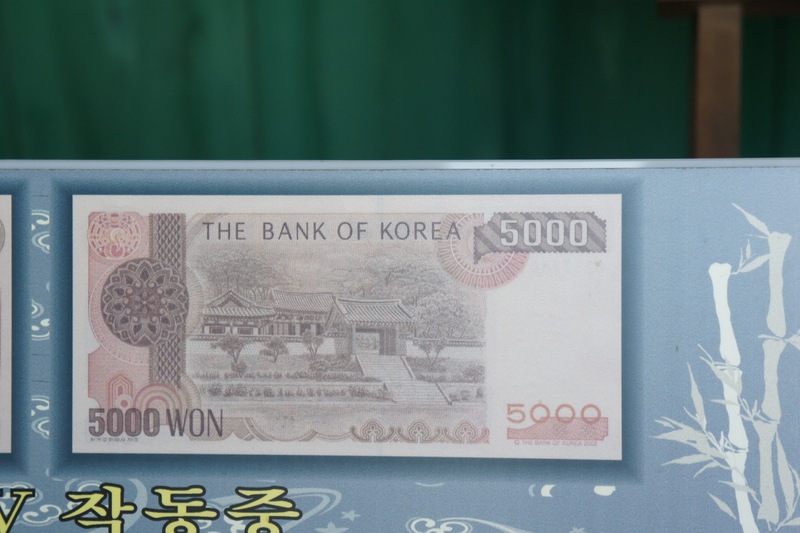 Why should I coz that is the place where the picture of Ujukheon was pictured on 5,000 korean won note!!! 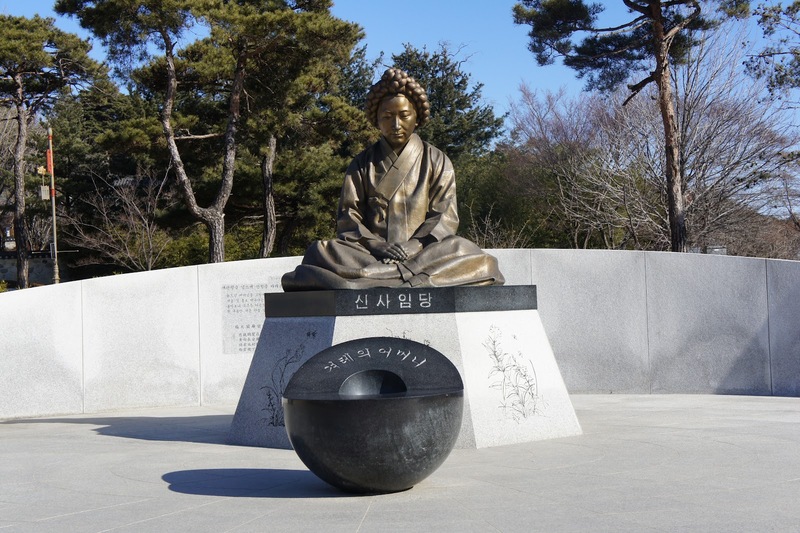 And it’s the place where Yil I’s mother, Lady Shin who pictured in 50,000 korean won note lived. I want to make sure how big the 3 trees in front of the house now growing after the picture taken…. 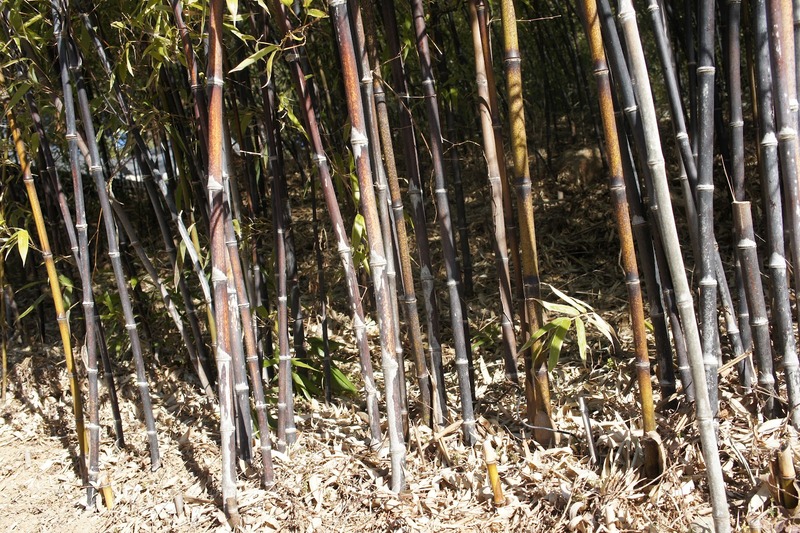 Heheheh … Oh,ya …you can find lots of black bamboo at the back of the house which where the house was name of. And, basically this house is an outdoor museum!!! Let’s move to what actually you can find here at Anmok beach. 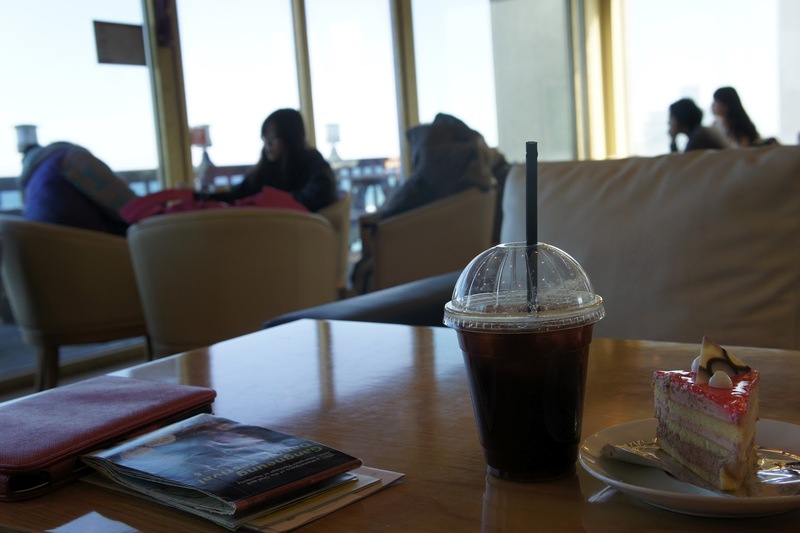 I’m planning actually to have a special entry about drinking coffee culture at South Korea later. 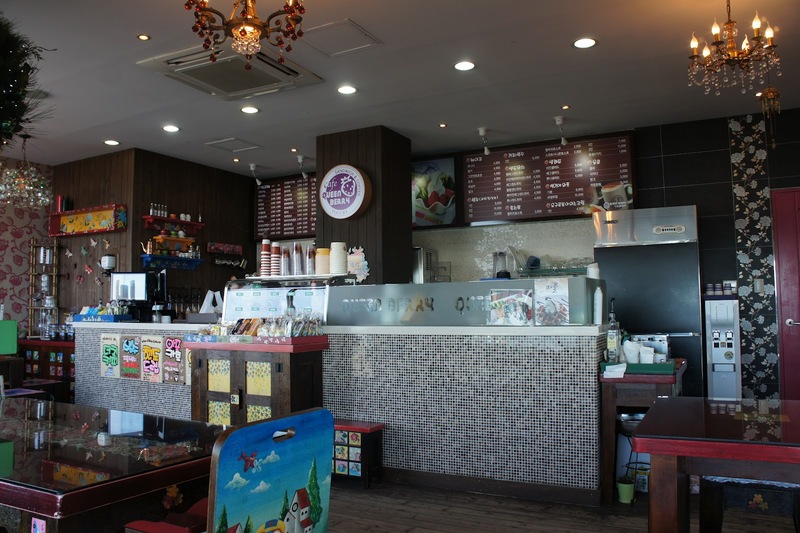 But I guessed I will try to cover it first with Coffee Street phenomena at Anmok beach. It was winter when I visited the beach so you can expect not much people there strolling at the beach except me especially it almost lunch time. You can imagine how strong the wind can be and how cold it becomes but I love the salty smell of the beach. 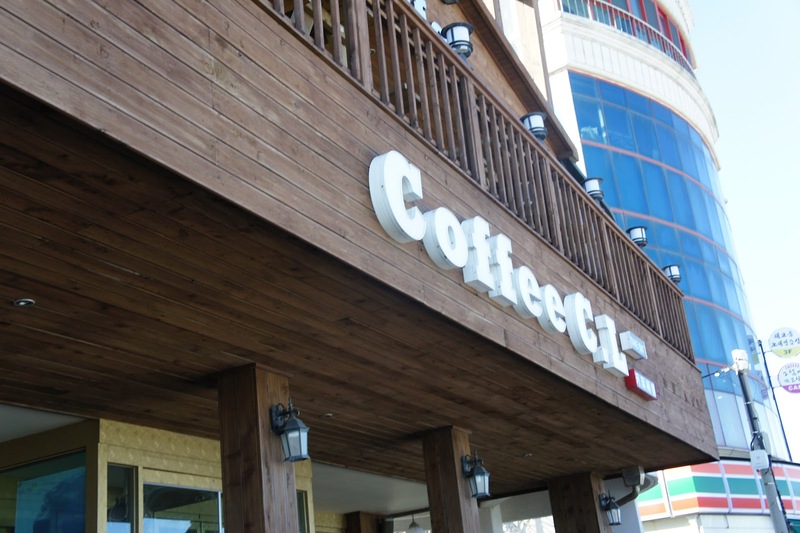 Facing the sea, there are a long stretch of 20 -30 shop building which mostly dominated by coffee shops; small, big,oversea brand, local brand, corporate look interior,cute interior, traditional interior, name it. And long list of menu you can choose from. My stomach was empty to start with coffee but I badly want to be inside the warm building so I just randomly choose my first coffee shop..emhhh, randomly choose the want without Lee Seung Gi banner outside!!! Hhahah.. all the “chosen” shop owner was so eager to tell the visitor that Lee Seung Gi was there but I don’t blame them as the power of public figure marketing is so important in South Korea. Everything and anything can be sold here as long as someone popular endorsing it. 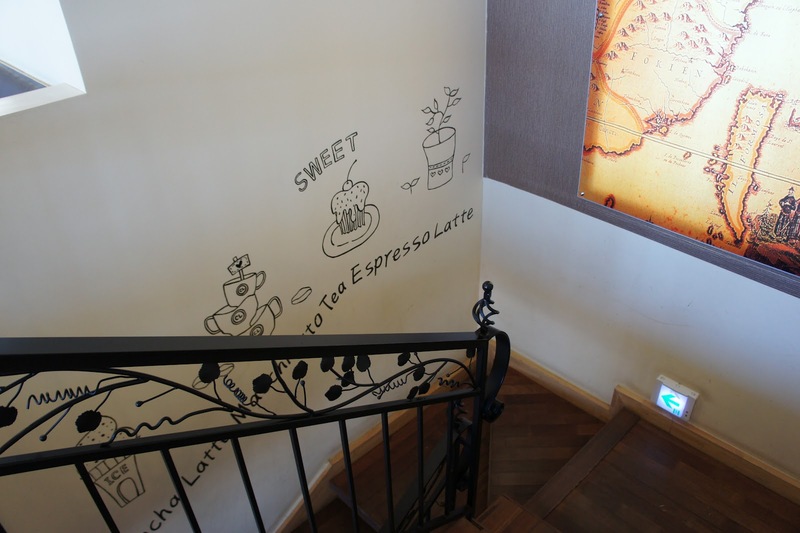 The first coffee shop has a romantic interior with small table with colorful cushion and detail decor. It gives you the feeling of having your coffee at your own living room. 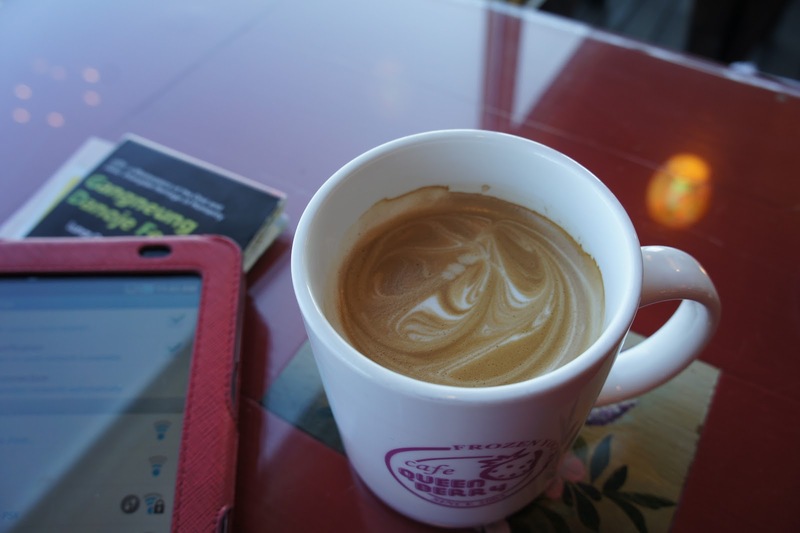 I spent around 20 minutes there sipping my hot latte while reading my e-book. I left Anmok beach and already missing it when my eyes can’t see the sight of the beach anymore. I rode my taxi to find the place where a must to go if you are hungry!!! Let’s find my late lunch!!! After a failed attempt to buy the Seasidetrain ticket, I made my walked again to the taxi stand in front of the train station. 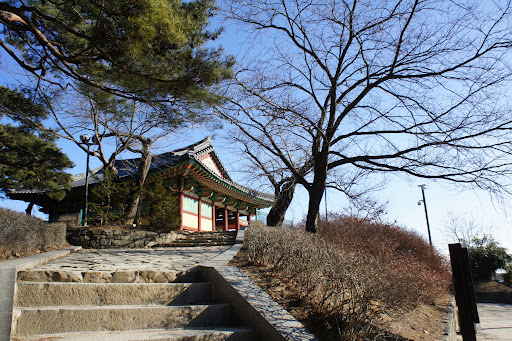 I first saw Gyeongpodae pavilion in 2Days 1Night (2Days 1Night is a popular travel variety show in South Korea). 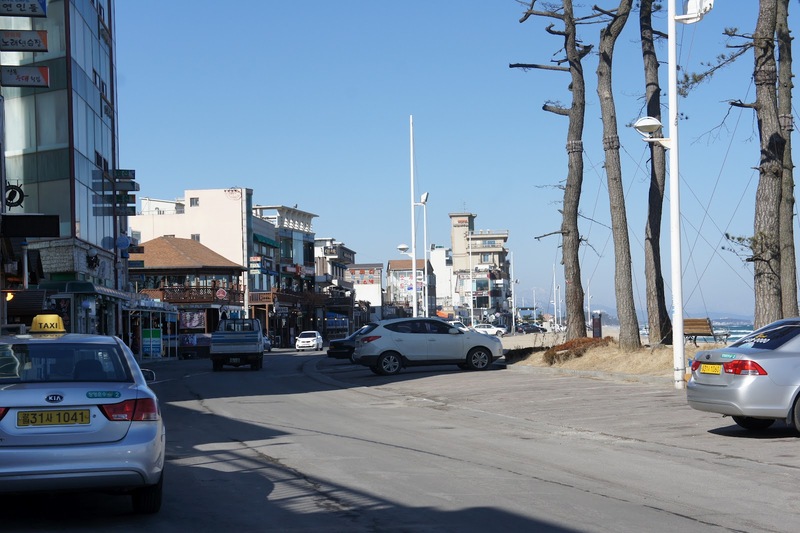 Basically most of my places to go at Gangneung was featured in 2Days 1Night. 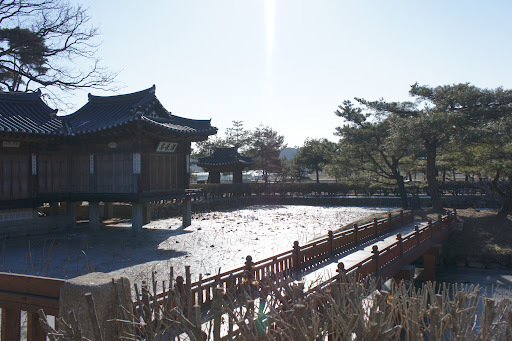 Gyeongpodae is a pavilion overlooking a Gyeongpo lake. In the show, I fall in love with how beautiful the scenery been seen from the pavilion. After a small talk with the taxi driver on the way to Gyeongpodae, we arrived! No other car or public transportation was there and as explained by the taxi driver when he made an offer to wait for me there before taking me to my next location. 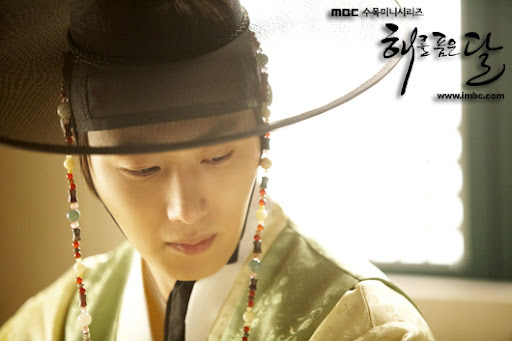 Of course I said yes and hurriedly climb to Gyeongpodae. 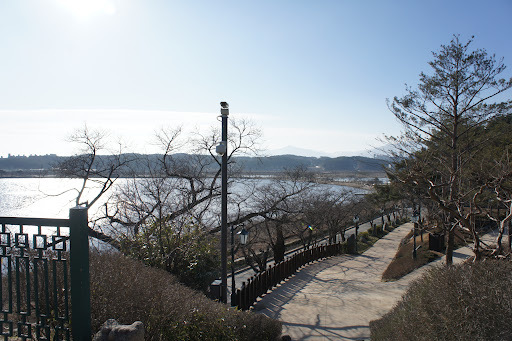 Nothing there except the pavilion but in front of me, looking from the pavilion is really beautiful scenery of Gyeongpo Lake. 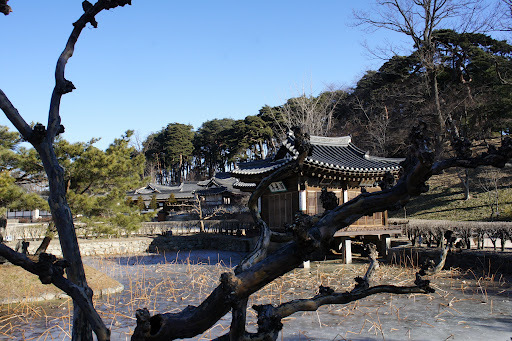 It is said that one can see the moon five times when at Gyeongpodae. One sees the moon once in the sky, once reflected in the lake, once reflected in the sea, once reflected in the drinking glass, and once more in the eyes of a lover. 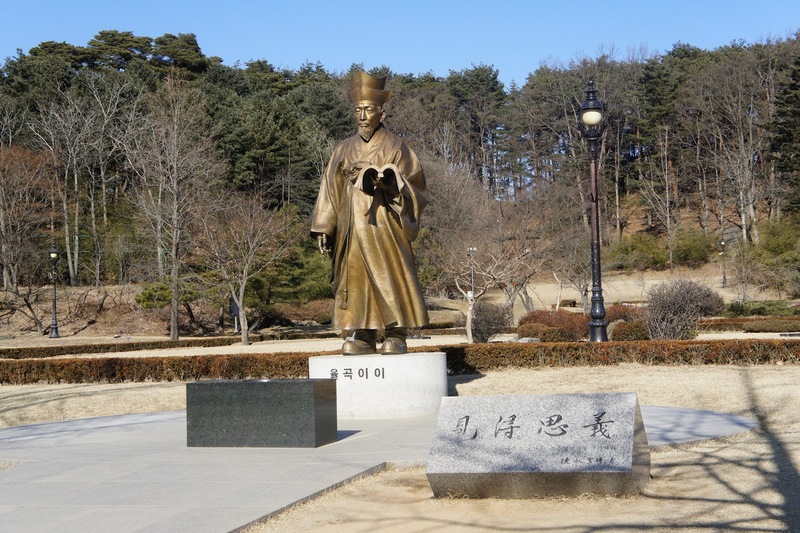 Huks, suddenly I featured myself back to 500 years ago when a famous scholarYi I, wrote his poems while he is there when he is still 10 years old. 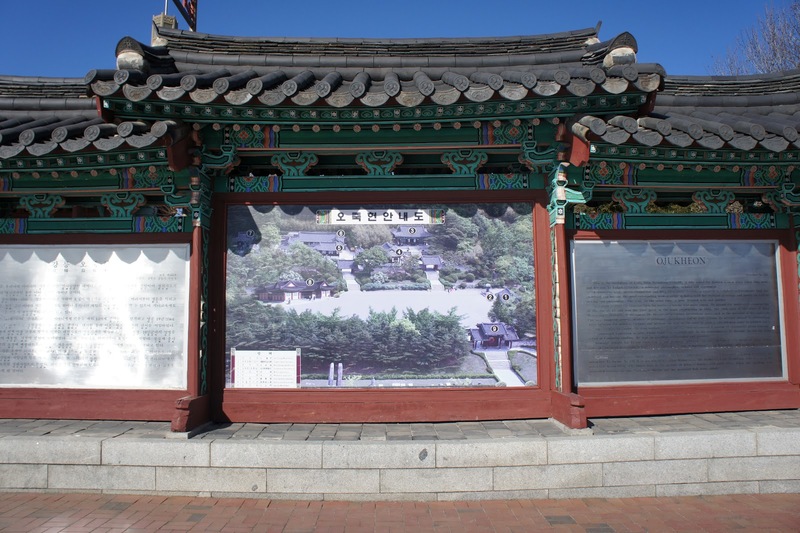 The poem is now written on 28 pillars of Gyeongpodae. I guess anybody who are here and see the beautiful scenery will definitely would like to capture the beauty in a poem. As my taxi driver is waiting for me, I just managed to capture the beauty in the pictures. Please have a look at the scenery from the eyes of Yil I, 500 years ago. On the taxi driver recommendation, I was dropped off at Seongyojang. According to the taxi driver,UJukheon which my actual planned to go is only a walking distance from Seongyojang. Hence, he urged me not to miss Seongyojang. Without any idea on what is Seongyojang is all about, I paid 3000 won for my ticket fee and a pamphlet about Seongyojang. After passing by the ticket counter, I am now standing at a big courtyard. 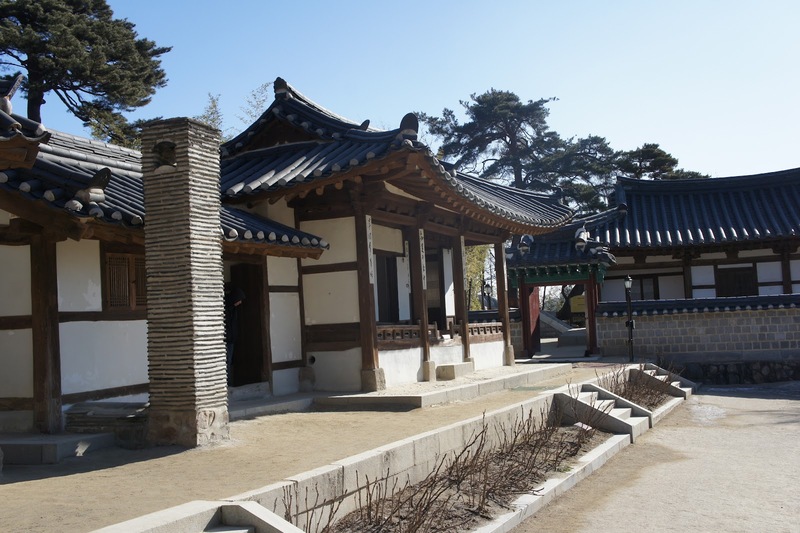 Seongyojang is actually a house for yangban(noble person) dated 300 years ago.If anybody watched a historical drama about Hwangjini (played by Ha Ji Won and Jang Gu Seok), the drama was filmed here. It’s a beautiful house with a peaceful environment (erkss..maybe because nobody was there except me and the workers). 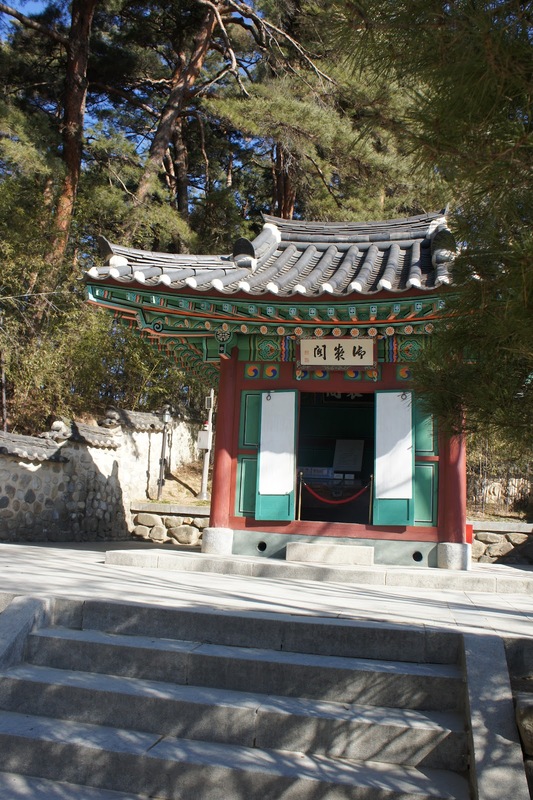 But I am more attracted to a small pavilion at the right side of the courtyard. The pavilion is actually built on a small pond that being connected by a small bridge. 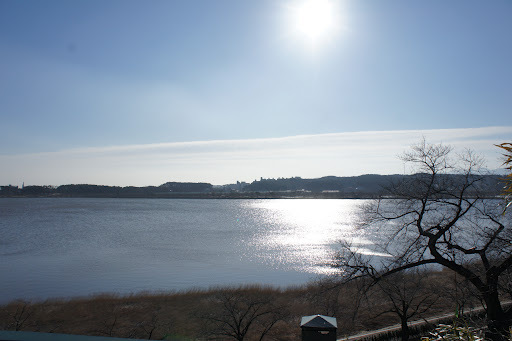 I bet that when I closed my eyes for a while, I can see a handsome Yangban wearing hanbok at the pavilion veranda facing the lake full with white lotus. Hahahaha …but the reality is a closed-no entry pavilion with frozen pond and only me. 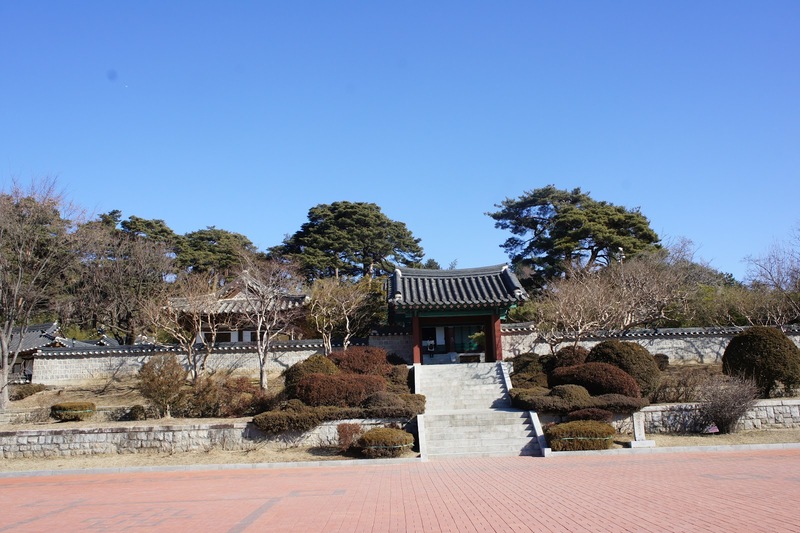 After half an hour walking by myself touring the whole house while enjoying the scenery and taking my own sweet time, I left the house and my imaginary handsome Yangban and made my way to Ujukheon. Raining Reminds Me of Rain …and My Unsatisfactory!!! It’s been almost half of year since the “waiting clock” start to kick for Rain’s fan. 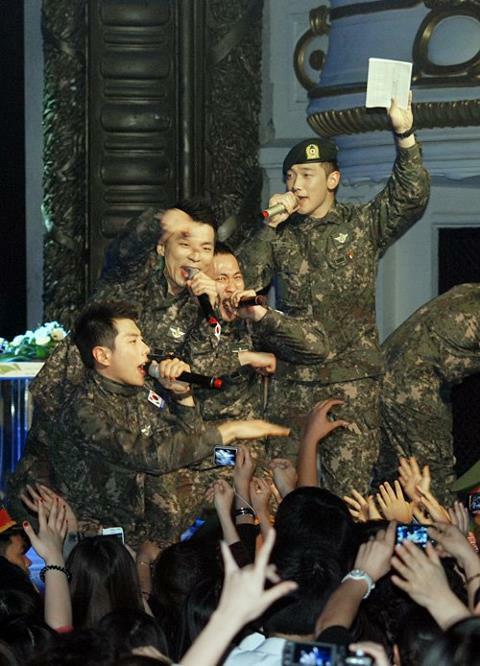 Celebrity is always celebrity; they can’t run away from the camera lens and news about them even when they are at Military Service. 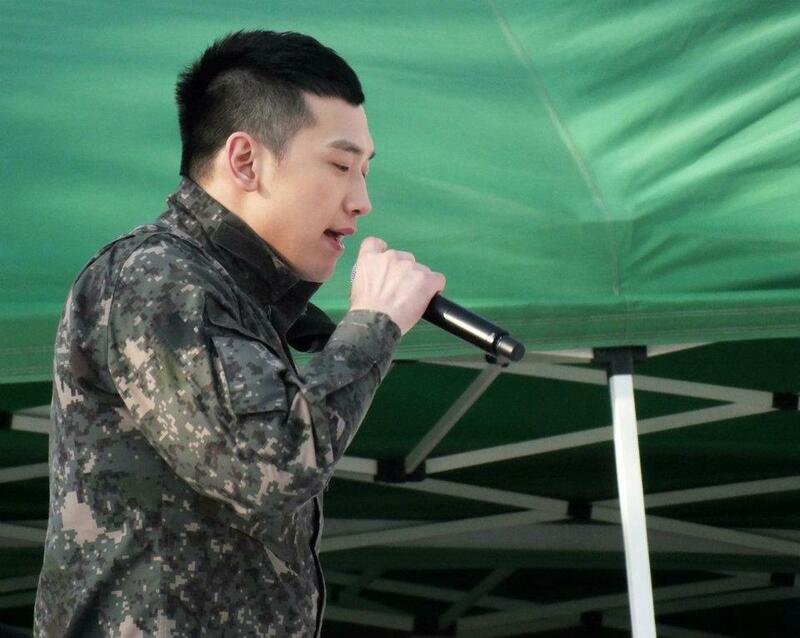 But i guess, Rain’s fans will be more than happy to see him or read about his whereabouts in the army through the SNS. As for me? yups …yups…i’m okay with that. I may sound more like a mom rather than a fan when i read his latest news in army. Forgive me on that. It just my personal view and thought of that or maybe the first impression i got. Okay, let me explain about the situation here. 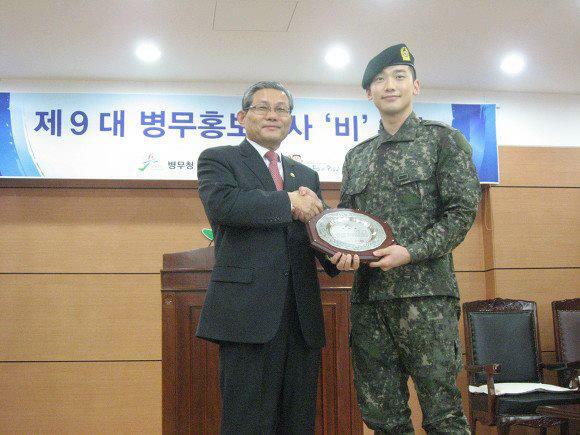 Military service in South Korea is mandatory for South Korean man. Usually all boy in their 18, after their high-schools will straight go to army for 2 years or during their freshman year at University. Only man with special reasons whom most likely an artist or national athlete will extend their entry. And as in the army, being able to be selected to special force team or to be in Marine or Air force will be highly anticipated. 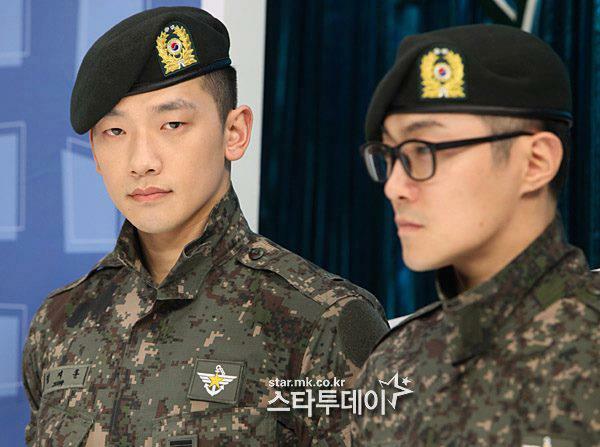 As a fan, i’m so proud that Rain can enter the 5th Division which the team will be the second layer of defense in war (i read somewhere) and of course he is the best in his team to be able to be selected as a team leader and later promoted to be a trainer. My Korean friends never have been to Gangneung before so they can’t give me any advice of that place. And I can’t find much info; I mean “budget” info of that place. 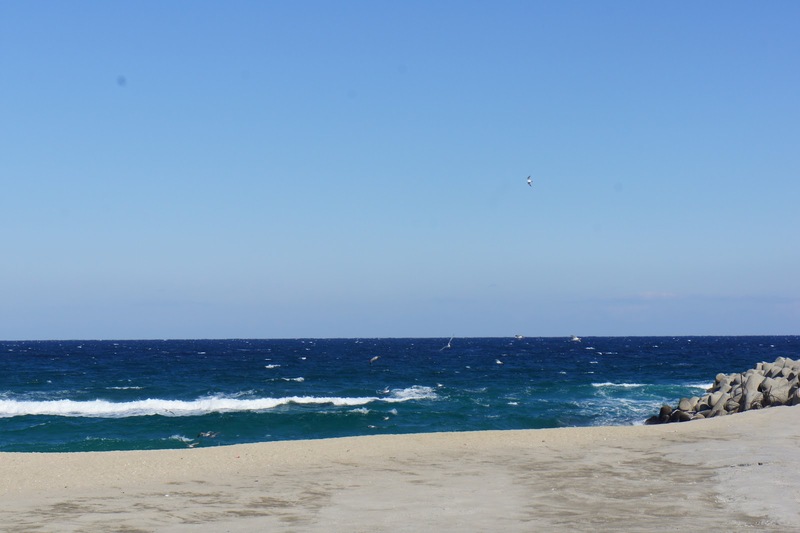 Without having my accommodation booked earlier or have no idea on how should I move around, but I’m more than thrill looking at the long list of things to do at Gangneung. Info ..info and info … the first thing I looking for at the bus station is a tourist info counter. I’m glad that South Korea is really well prepared regards to tourism info and I am glad that the tourist guy is a nice guy that willing to help me find my accommodation. It sounds weird for me at the first place to ask where I should find an accommodation here at Gangneung coz I never done it before. But lucky me, opposite of the bus terminal 4 – 5 motels was there. So, I walked to the furthest motel in hoping that I can get a room for less than 50,000 won pernight. 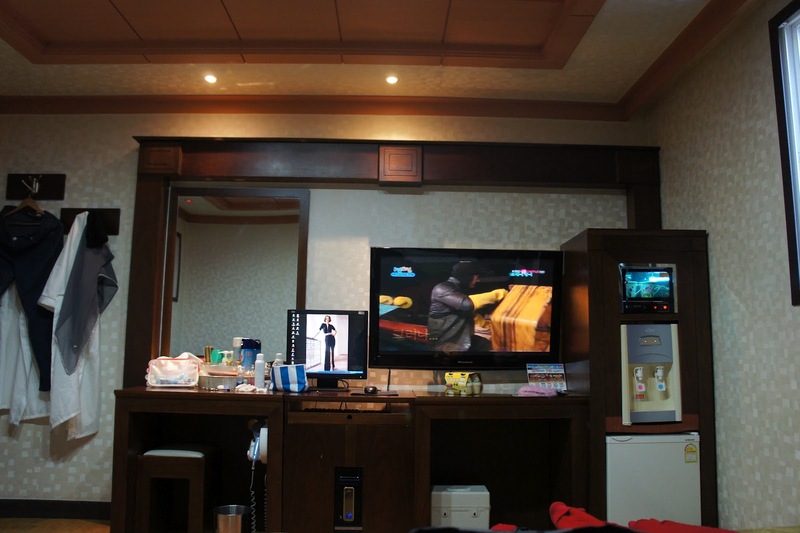 And thank god that at last I managed to settled down with 40,000 won pernight (room with internet and desktop)…..hehehehe…I am happy. It was 5.00 pm when I looking at Gangneung bus terminal from my motel window, tomorrow I will explore Gangneung ..murmuring to myself. No town, no beach nearby like I expected so I kinda nervous thinking that how far the places I planned to go will be from the bus terminal. But tomorrow I will think about it, tomorrow ..not tonight coz tonight I need to sleep. I woke up early offering my Subuh prayer and open up again Gangneung map given by the tourist guy and the inter-bus time table. After a long ponder, I decided to take taxi instead to save my time. And knowing that no English announcement inside the bus, I really want to minimize the attention I will get as a foreigner when I rode the bus and need to ask around. I bet in this place, the number of foreigner will be less and after 2 weeks being the “center of attention” back at countryside, I just want to go low. “Ahjussi, Gicha Yok Kaseyo” I rode my taxi and asked the driver to take me to train station where i should buy my Seaside Train ticket today. I can’t miss the 10 am ride as there are only 2 times a day train in operation. When i arrived, nobody at the counter selling the Seaside train tickets. I’ve been standing there about 5 minutes till a women staff came and entertained me. “Gicha Pyo Obsoyo”. What? no tickets? Why? I can’t understand half of her words explaining why no tickets sold today which i don’t really care. “Kerom, naeil ottaeyo? How about tomorrow? hehehe.. tomorrow i will come again…. Ticket will be available tomorrow!!! There goes my plan .. huh..what should i do? my second day itinerary is now ON for 1st day!! 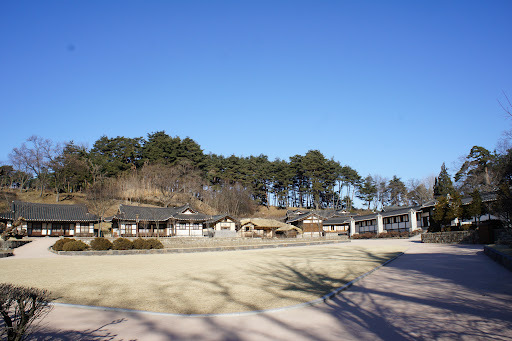 !Gyeongpodae Pavillion wait for me!!! 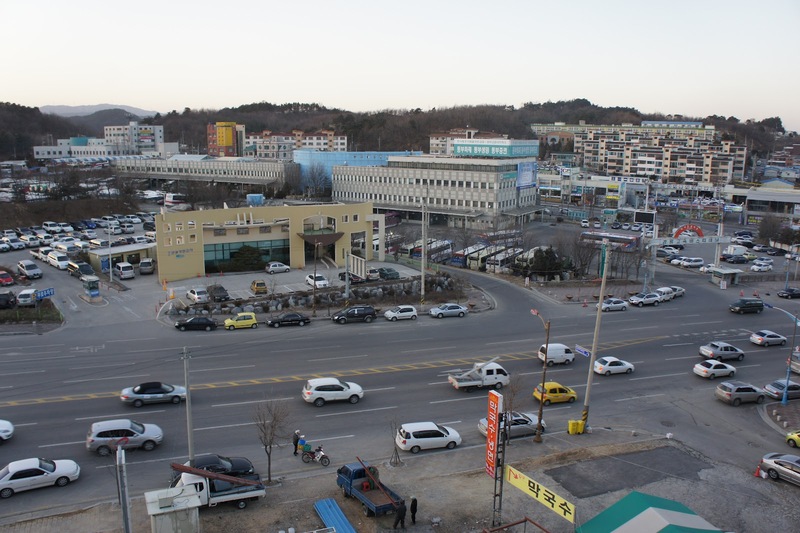 How to get to Train Station: Taxi : Ride a taxi near to Bus station for around 2,700 won.. Cheap!!! around 5 – 10 min Bus : uhuksss..lost my bus time table..but you can get it at tourist ingo kiosk outside the bus terminal. 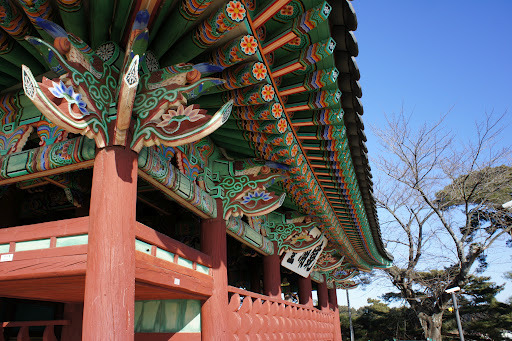 I had 3 weeks to travel at South Korea last Jan 2012. 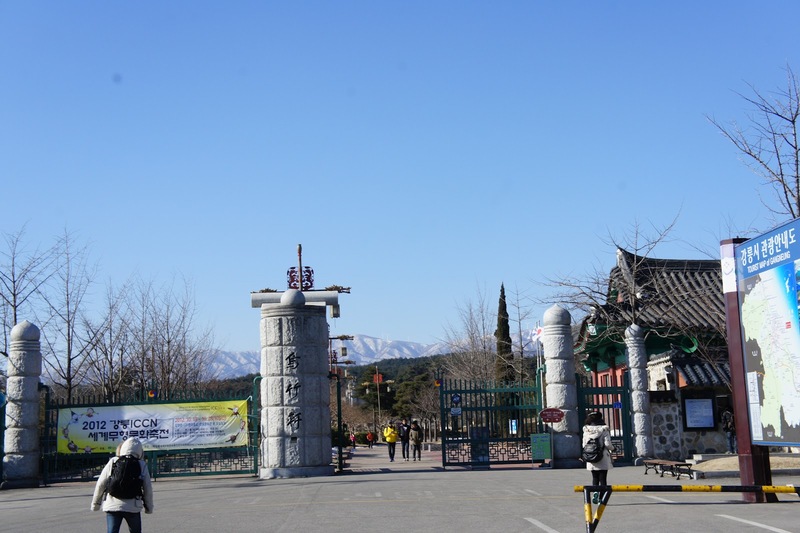 My schedule was packed with 2 WWOOF programs at Geochang,Gyeongsanam-do (southern part of South Korea) and at Joam, Hwaseong,Gyeonggi-do (northern part of South Korea). In between I was at Seoul spending my birthday with Miss Han, Miss Jungju and DoKyung. So, I decided to have a “solo” trip as a leisure traveler for the remaining 1 week of my stay. But where to go? I need to be out from Seoul. 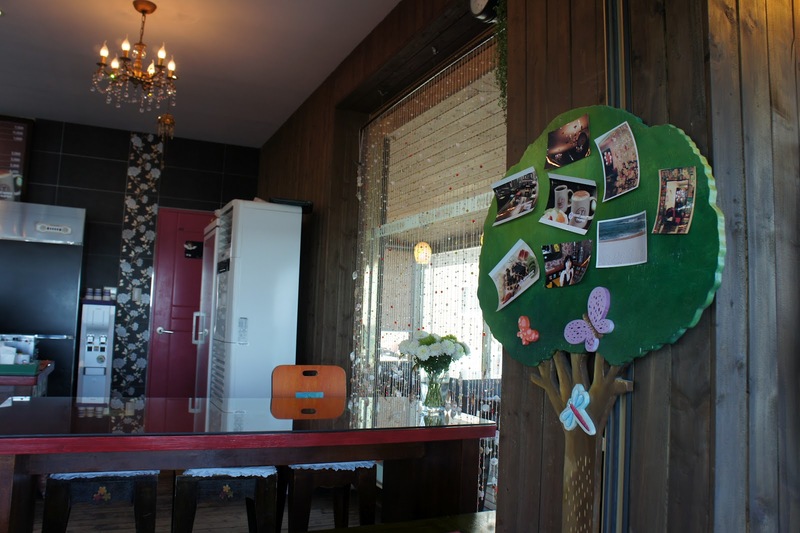 The place must be near to Gyeonggi-do as my last stop before this “solo” leisure trip is at Gyeonggi-do. I’m missing the sea and the wind so badly, so the place must be near to the sea. And to see the sea during winter, that is a good idea!! And suddenly I watched my 5 favorite guys from 2Days 1Night went to a place called Gangneung located at Gangwon-do which is next to Gyeonggi-do. 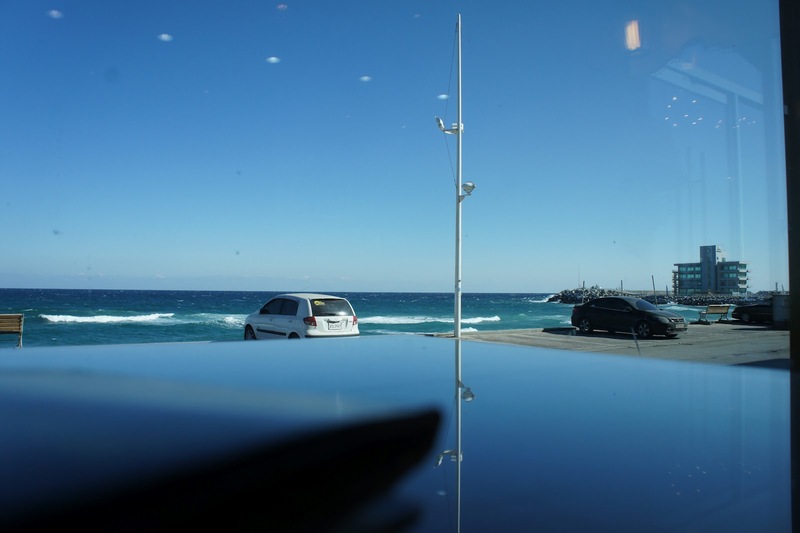 It just perfect as Gangneung is located at the east sea which popular for beautiful beaches and traditional culture. And guess what, Gangneung marked their name in the World Guinness book of record to have the nearest train station to the sea. 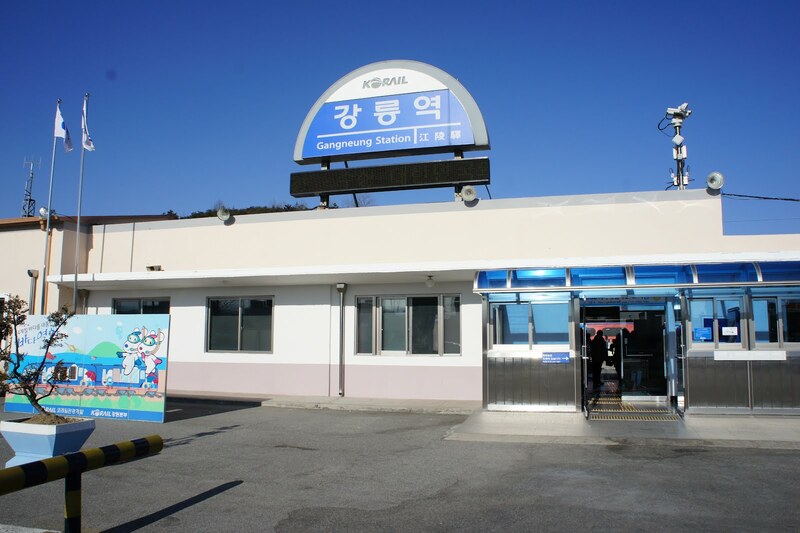 Rusiha, we are going to Gangneung for 4 days 3 nights!!!!! Deal!!! I packed my heavy haversack on the early morning at Joam. Mr Keum my WWOOF host will send me to Joam bus terminal to catch the bus to Suwon city. After listening to his last fruitful talk and a cup of coffee at Mr Keum’s beauty saloon friend’s shop, he left me at the small and shabby Joam bus terminal (it looks more shabby today). We shake hands and bidding goodbye. It was a melancholy morning. Gangneung will wait for me, so I decided to have brunch at my favorite Chongguk restaurant by having sundubu jigae and kimbab before taking 1 hour bus to Suwon and change to another 3 hours express bus ride to Gangneung. Bye – bye Joam. My Gangneung journey begins!!! People who think their husband or wife is their perfect partner enjoy happier marriages, a recent study shows. A research team led by Sandra Murray, a professor of psychology at the University at Buffalo, the State University of New York, surveyed 193 couples, aged 27 on average, every six months for three years on their happiness in marriage. The study, which was published in the April issue of Psychological Science, found that people who had married a partner whom they thought was their ideal type were happier with their married life than those who had not. The researchers noted that while they could not estimate how long the high levels of satisfaction would last, those who married an ideal partner experienced no decline in happiness over time.